For some, Memorial Day weekend means kicking back in the back yard with hot dogs and cool beers. But in Durango, Memorial Day weekend means clipping in for the Iron Horse Bicycle Classic, the premier cycling event in the West — and also hot dogs and cool beers. The Iron Horse Bicycle Classic was the brain child of Tom Mayer and his older brother Jim. Jim worked as a brakeman on the D&RGW railroad which had run the steam-powered locomotive between Durango and Silverton since the 1880s. Tom was a young bicycle enthusiast who grew up alongside the tracks to Silverton. Tom challenged Jim to a race to Silverton. As the train came by the house, the steam whistle screamed and Tom climbed on his trusty steel-framed 10-speed and pedaled up over the rim of the old volcano and descended into the caldera to the mining town of Silverton. The train takes a shorter and easier route, but with limited speed, so it is truly a race between man and machine. When Tom became strong enough to win, the bragging rights were his, and the whole town knew it. In 1972, a group of 36 riders decided to celebrate the train’s first spring run by trying to do the same thing Tom Mayer did. Today, the 47-mile, Durango-to-Silverton road race (the one started by the Mayer brothers) kicks off the three-day Iron Horse Bicycle Classic. Cyclists traverse two, 10,000-foot mountain passes as they try to beat the Durango train to Silverton. “Cruzer Crit” – Photo by Scott DW Smith. Now in its 43rd year, about 3,500 people participate in several different Iron Horse events over Memorial Day weekend, including the road race, a mountain bike race, time trials, a kids’ race, a variety of criterium and more. 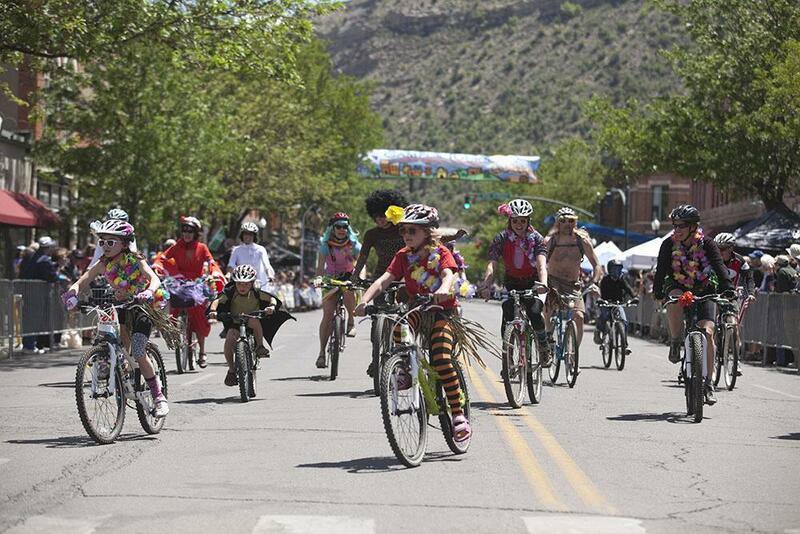 There’s even a “Cruzer Crit” — a cruiser parade with cyclists wearing crazy costumes — at noon Sunday, May 25, at Ninth and Main in downtown Durango. Riders must register, make a donation (to benefit the Women’s Resource Center) and wear a helmet during the parade. Every entrant gets a raffle ticket with a chance to win a kickahhh…kickstand refurbished bike! 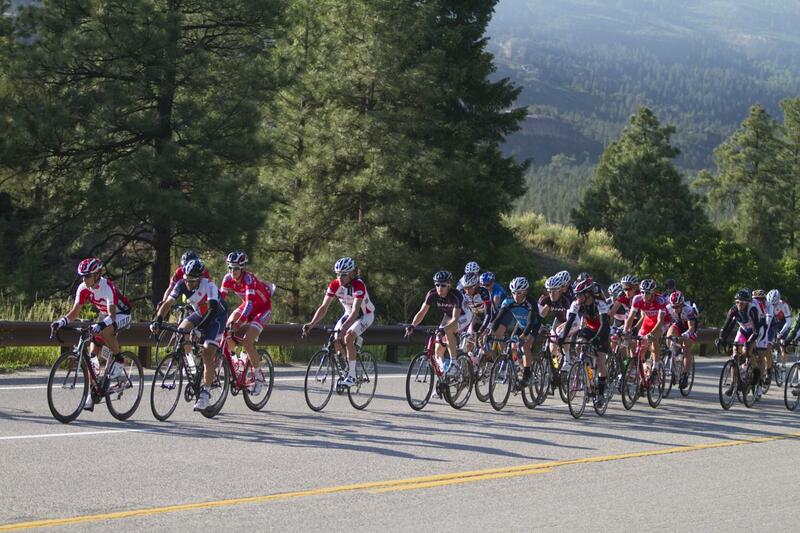 While you’re making your plans for Memorial Day weekend and registering for the Iron Horse Bicycle Classic, be sure to book your room at the Durango Quality Inn.